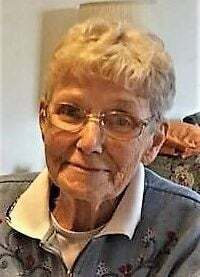 MISSOULA — Geraldine (Beanie) Harris, 79, of Missoula, passed away at home on Thursday, Feb. 7, 2019, with her husband at her side. Beanie was born on June 18, 1939, in Chinook, to Gaylord and Dorothy (King) Ross. In 1945, the family moved to Missoula, where she attended Hellgate High School. On Oct. 17, 1981, she married Patrick Harris. The couple spent 37 wonderful years together. Beanie enjoyed quilting and making afghans and was quite the baker as well as a great cook. She spent nearly every daylight hour of the summer sitting on her back porch, hosting the constant stream of family members coming to spend time with her. She was particularly delighted to have her grandchildren and great-grandchildren visit. Everyone helped her assemble dozens of puzzles a year, all while enjoying her many baked goods. Survivors include her husband, Pat, Missoula; son and daughter-in-law, Larry and Colleen Martin, Camby, Oregon; son, Gary Martin, Missoula; stepdaughter, Suzan Harris, New Mexico; stepson and daughter-in-law, Doug and Jackie Harris, Frenchtown; seven sisters, one brother, and many grandkids and great-grandkids. A special thanks from Pat to her grandson, Daniel, for leaving his job to spend a week helping after her passing. A family-picnic memorial will be planned around her birthday in June at her favorite spot, her backyard. She was a grand lady and will be deeply missed by all who knew her.